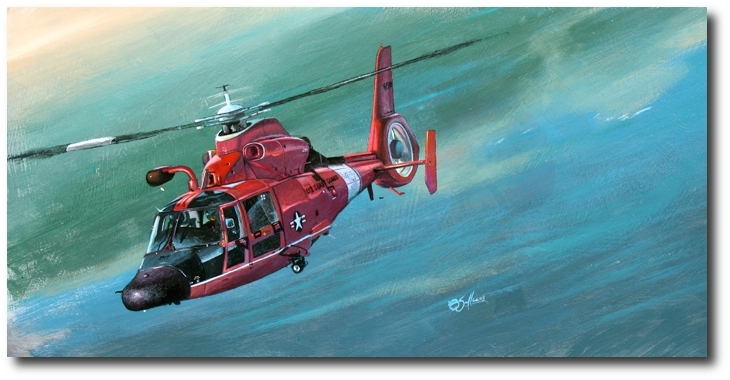 A 10" x 19" graphite print of the MH-65 is included! If you want a particular tail number on this print, include the number in the comment section during checkout. 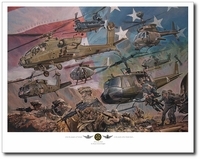 Comes with the MH-65 print shown above. The U.S. Coast Guard MH-65 Dolphin helicopter glides along familiar coastlines in the US keeping our coastal waters safe. Each rolled canvas has two additional inches of material around the image for stretching or mounting by your framer. Each piece is hand signed by the artist. Additionally each canvas print is accompanied by a 10x19� graphite edition of the MH-65 Dolphin. If you want specific numbers added to the tail on the graphite print, include the number in the comment section during checkout.